At UTS we strive to continually improve our sustainability performance. Greenhouse – 30% reduction target below 2007 levels by 2020/21, among the most ambitious of any Australian University. Energy saving - to help achieve our greenhouse target, a wide range of energy efficiency and renewable energy initiatives are underway. Waste – target 80% waste diversion from landfill to recycling (including construction waste). Water - target reduced consumption every year, so far we have reduced water consumption 26% over the past 9 years. Transport – UTS is well serviced with public transport including Central Station, Broadway bus interchange and light rail. We also have ample cycling facilities, carpooling and a free shuttle bus service. IT and computing – as a university of technology, IT is a big issue and we have a range of initiatives underway including energy saving software, automation systems, sustainable procurement guidelines, and recycling at end of life. Procurement – sustainability guidelines for the purchase of goods and services help limit unnecessary purchasing, reduce environmental impacts and minimise waste. Buildings and facilities – building managers use integrated building management systems to reduce waste and optimize efficiency. Food – ActivateUTS operate many food outlets on campus and have sustainable procurement guidelines. The Broadway Food Coop is a great place to buy organic and local produce on campus, and UTS Housing grow their own vegies on roof top gardens. Campus Master Plan – this 10 year, $1 billion program of building upgrades features climate responsive design, sustainability performance displays, bike hubs, roof top gardens, sustainable energy generation, rainwater capture, sustainable furnishings and more. Special projects – at any one time numerous special projects are underway to trial technologies or develop better systems, and to help foster a culture of continuous improvement. 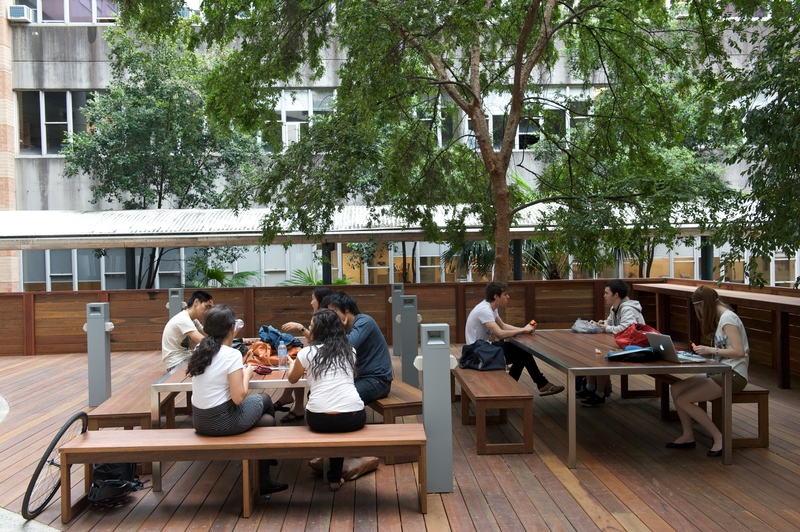 Sustainability audits – UTS Green can help different schools and units across the university conduct a sustainability audit of their section. For more details contact UTS Green. © Copyright UTS - CRICOS Provider No: 00099F - 19 September 2017 04:28 PM. The page is authorised by Deputy Vice-Chancellor and Vice-President (Corporate Services).